No one wants to have to talk to the IRS but, unfortunately, we sometimes have to. If you’re being audited or need to negotiate with the IRS, you’ll have to communicate with the IRS. The question is: when should you talk to the IRS yourself and when should you hire an attorney to do it for you? 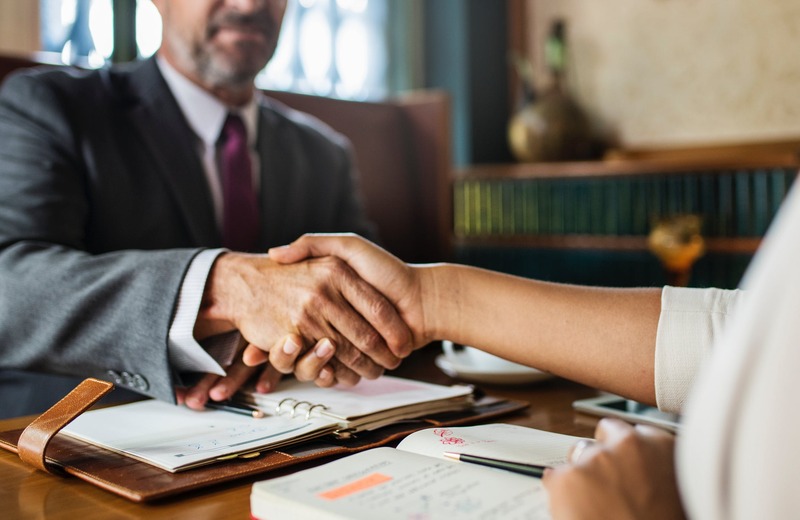 A tax attorney can help you get the best possible deal with the IRS— plus, they can take the stress of dealing with the IRS off your shoulders. A tax attorney can always be helpful, but sometimes they’re quite necessary. Let’s talk about when you should hire a tax attorney and when you may be able to talk to the IRS yourself. Audits are stressful. Whether you think the IRS is auditing you in error or are worried they might find something amiss, a tax attorney can help defend you against the audit process. A tax attorney can represent you during and after an audit. They can help you understand your situation and can get you the best possible deal with the IRS should you need to make one. Taxpayers need to negotiate with the IRS in many situations. People may need to negotiate down a debt they can’t pay or negotiate the best possible installment plan, among other things. But the IRS wants you to pay your full tax debt amount and doesn’t make the negotiation process easy. That’s where a licensed tax attorney comes in. A tax attorney is experienced at negotiating with the IRS and is also fully aware of every possible deal you may be able to make. A tax attorney can simply help you get a much better deal with the IRS than you could negotiating on your own. There are many different reasons the IRS sends notices in the mail. They send notices for late tax payments, tax liens, tax errors, and hundreds of other things. The absolute worst thing you can do when you receive a notice of any kind from the IRS is to ignore it. Unfortunately, many people do just that. IRS notices can be very confusing for many taxpayers and receiving one is stressful, so people often (unwisely) ignore them. But if you get a notice in the mail from the IRS, you need to deal with it quickly, especially if it’s for a late stage IRS action such as a lien or a levy. If you don’t fully understand what your notice means or how you should address it, you should immediately contact a tax attorney for advice on what you should do. If you’re facing criminal charges from the IRS, it’s critically important that you hire a tax attorney. You should know that the IRS wins more than 85% of all criminal cases they bring against taxpayers. And the loss rate for those who attempt to represent themselves is even worse than this average number. Criminal charges from the IRS are extremely serious. If you want to protect yourself from high fines and the potential of a prison sentence, a tax attorney is your best line of defense. While hiring a tax attorney is important in many situations, for some more routine situations, you can consider talking to the IRS yourself. For example, if you receive a notice in the mail saying that there are deductions you might qualify for or that there’s a small mistake on your tax return, you can usually talk to the IRS yourself if you like. You can talk to the IRS yourself for any issue, including the ones we mentioned earlier in this post such as audits— the question is whether or not you should. A tax preparer is skilled at negotiating with the IRS and can represent you far better than you could on your own. So for any issue that isn’t very minor, it’s a good idea to consider hiring a tax attorney. If you think you may need the services of a licensed tax attorney, contact Tax Defense Partners today for a free consultation.